Hello Scrappingcleary followers, its my turn on the blog today and I have decided to share with you the amazing papers from Paper Arts, Artistry and Beauty. I love these papers they are so good for layering and if your unsure about using paint or mists then the effect is already there for you. 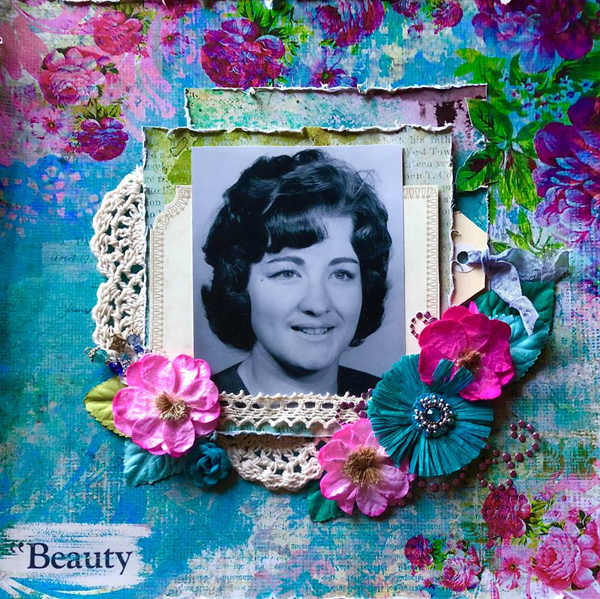 I have also used an array of the amazing Prima blooms that are stocked by Scrappingclearly to embellish my layout. With these papers and layering of them I have found it was more pleasing to the eye to cut around the leaves and layer the paper under neath them as can be seen in the above image. I just love how the title is already on the paper yet looks like I may have created it. Beautiful, the colours are gorgeous! Make A Statement and Express Yourself. Perfect the way i am - With Emma. Soak Up The Sun - With Karyn Schultz! Art Journal Magic.... Let's Paint, Cut and Paste. Travelers Notebook - With Karyn Schultz! Our DT Favourites from our SC Shop! Your the One - layout by Emma. Summer Loving - With Karyn Schultz! 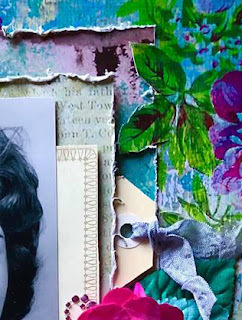 Incorporating photos into Art Journal Pages.